Is luxury mountain living your idea of perfection? How about OWNING a mountain with its own rustic luxury retreat? This once in a lifetime living opportunity is here and it is located in convenient McDonald, TN about 10 minutes away from the interstate. This ultra-private retreat on 185 acres is convenient to Chattanooga, Ooltewah/Apison and Cleveland and very close to Enterprise South/VW/Amazon. 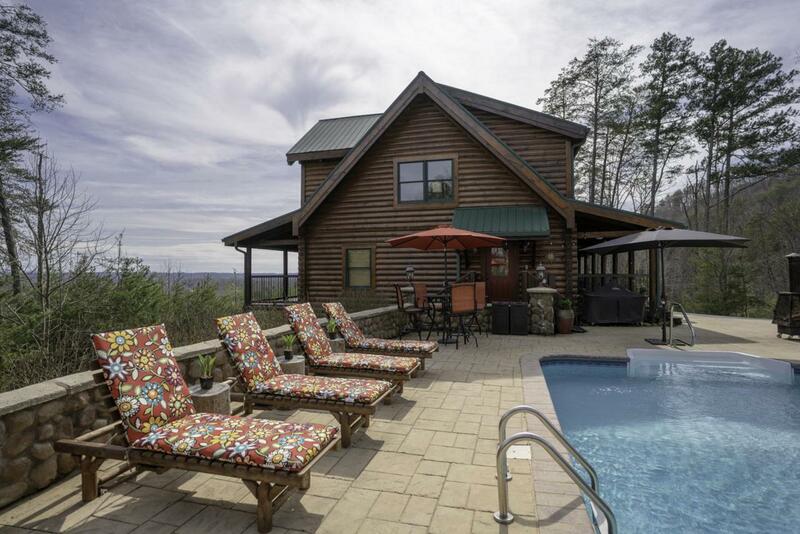 Located about half way up the private mountain surrounded by majestic views is this fabulous retreat which consists of a luxury log home, guest bunk house, guest home, barn, swimming pool and lake. Hike, hunt, four wheel and explore to your heart's content on the nearly 200 acres. Fish in the lake filled with bass, brim and catfish or saddle up your horse for an afternoon ride.At the end of the day join the family for a swim, outdoor dinner, with glorious evening views from the three wide front porches at the main home. Details: Main home - a true log home with open floor plan and vaulted ceilings. Three bedrooms/three baths. Parking and one bedroom on lower level. Gourmet kitchen, dining, living room with large stone fireplace and bedroom on main level, upper level is huge master suite with a loft overlooking the main living area. The log "bunk house" has 4 bedrooms and two baths. The guest home has a large kitchen, living room with fireplace, three bedrooms/two baths and private two car garage. The home, bunk house and guest home are centrally located around the heated pool, courtyard and outdoor living area. The picture-perfect barn has 8 stalls and a large tack room. This rural retreat has been thoughtfully and lovingly constructed and impeccably maintained - investments in items like metal roofs on all the building demonstrate its owners' dedication to creating a legacy property and retreat. A tour of this property is necessary to fully grasp its beauty, uniqueness and the rare living opportunity it provides.